A few weeks ago, KLOV member Braido shot me a pm about his Twin Hawk ocb, saying he found an earlier WTB post I made on KLOV. He asked if I'd like to buy it and to shoot him an offer. 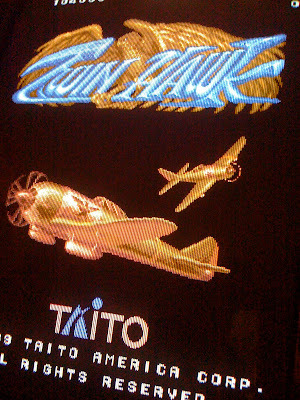 Unfortunately, I was saving every penny I had for a new amplifier and had to pas, sorry, but I could link your sales post over to shmups. He offered to just sent it to me anyway and I excitedly and politely accepted! It arrived while I was in Seattle and it was waiting for me on my desk at work when I got back. As soon as I got home, I fired it up and went to town. 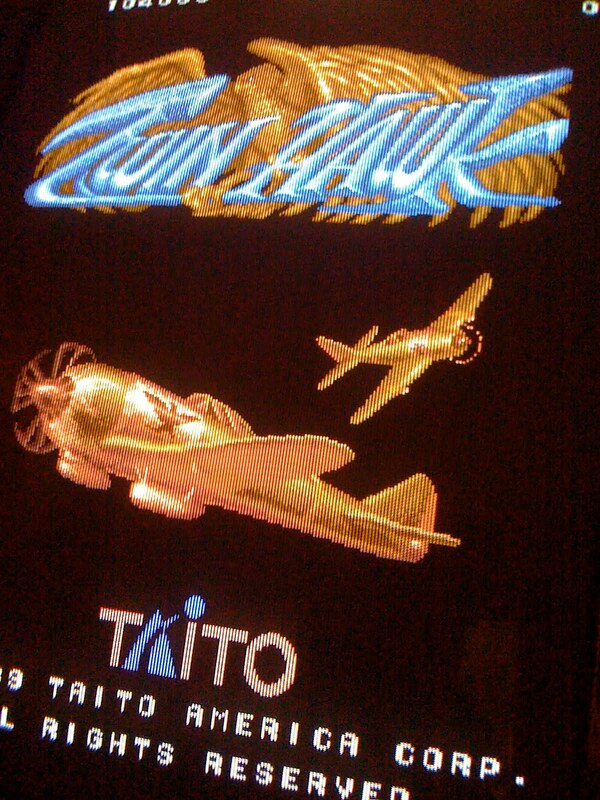 It's an old school Toaplan style game, even for 1989, much like Hishouzame/Sky Shark, but with a twist. Your bombs are actually a swarm of planes that cover the bottom of the screen and fire up at the same rate you do. They can take enemy fire and go down, but if you stay near the top of the screen they tend not to get hit. If you tap the b button once, the planes appear at the bottom, but if you tap it twice before they get into formation, a bomb drops right in front of your ship of pretty impressive power. You can also tap the bomb button once after the planes have formed up and they will all dive bomb into the nearest objects. The game required some new types of strategy besides the shoot, dodge and bomb standard for older Toaplan titles. It seems that the most effective way to play is to stay in the top 1/3 of the screen and take out large enemies very quickly and allow the drones to take out all of the popcorn enemies. I set this first high score at 198,700 at area 33 after the third mid-boss/boss and I have trouble with him ever since. It's a pretty tough game but massively enjoyable and it has a very unique mellow, soundtrack, which I quite enjoy. I played the first night for about three hours, trading off playing time for time with my new amp - a gorgeous Orange AD30R and my new guitar - an ebony black 1981 Gibson Firebrand SG. 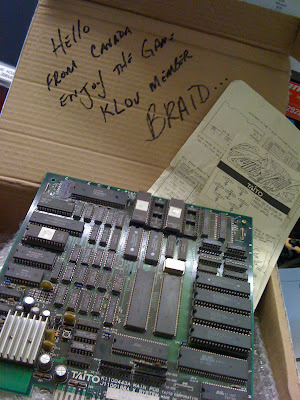 Big, big thanks to Braido for the pcb! Nice snag on the Twin Hawk!